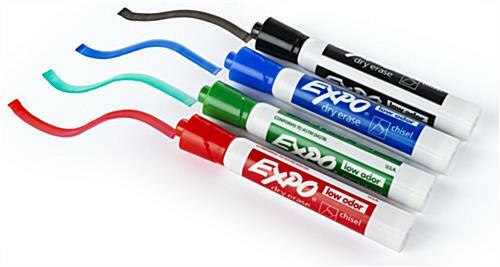 These dry-erase markers write on most standard whiteboards. Nowadays most universities, and businesses use dry-erase boards instead of the traditional chalkboard. These dry-erase markers have vivid colors allowing you to create powerful presentations. Erasable writing instruments, dry-erase markers are very popular because they erase with ease, leaving little residue, as well as writing with precision in a single stroke. These dry-erase markers are the best writing accessories for use in conference rooms, classrooms, production floors and more. 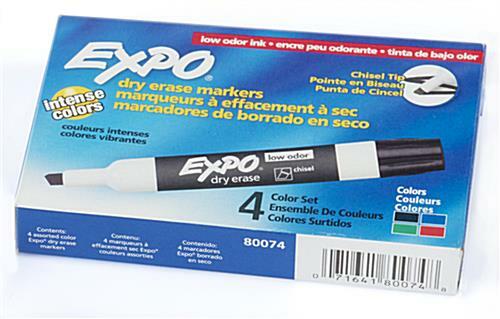 Buy these dry-erase markers and be sure you are acquiring a quality set. 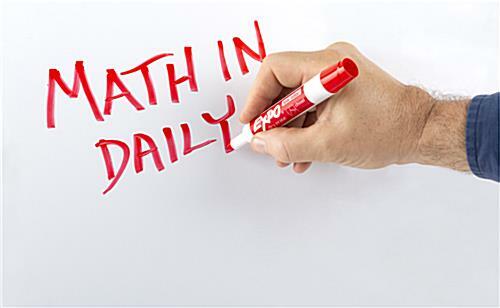 These dry-erase markers are designed to help you write clearly and easily. Each dry-erase marker features a chisel point enabling fine or bold lines, giving you options as you prepare your presentation. The kit includes 4 popular colors: Black, Blue, Green & Red and one felt eraser. 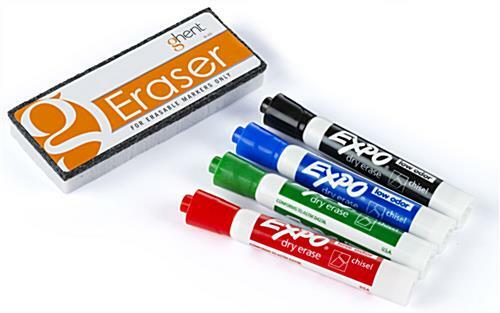 These dry-erase markers, also known as writing utensils, wipe off with a dry eraser, cloth or tissue. Erasable markers, dry-erase markers are a must-have for college professors, training aids, production managers, sales people and more.